With the rain comes . . .
Why complain about the rain? 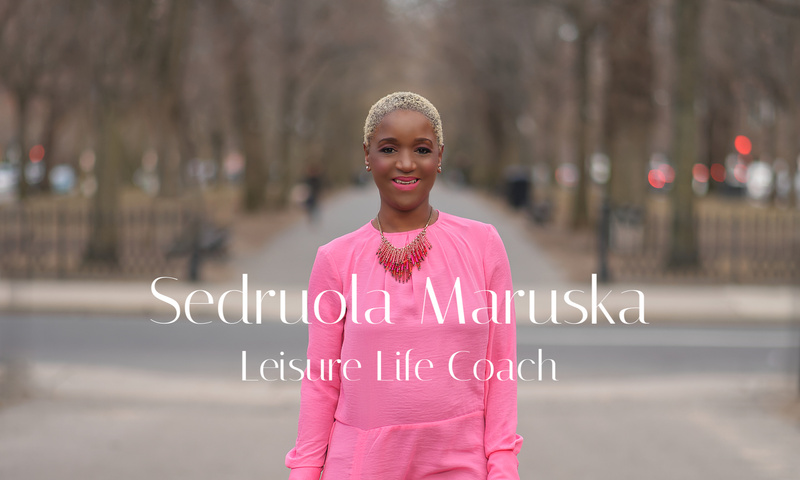 Leisure Life Coach – What’s that? What’s a “Leisure Life Coach”? I get this question all the time, so, let me explain. I decided to be a coach so I needed a niche. At first being a business coach sounded good, but it didn’t give me room to talk about non-business stuff. I thought I wanted to be a health & wellness coach, but that seemed so broad. Then, I started reading “Overwhelmed” by Brigid Schulte and a light bulb went on in my head. I could take my business acumen and my desire to teach health & wellness and narrow it down to leisure. Leisure, the misunderstood sister to productivity and success. Leisure is what allows productivity to increase and success to follow. Without enough leisure, productivity is lagging and success is slow. So, what’s a “Leisure Life Coach”? It’s my niche. It’s where I help women find time & space in their lives so they feel less busy, less frustrated, more productive, relaxed and happy. Now, the typical answer is “I don’t have time for that!” Which is EXACTLY why you need me! Taking time for yourself is the best gift you can give to those you love. . . even to those who come into contact with you each day. Don’t believe me. . . examine how you feel right after a vacation vs. when you can’t take one at all. . . I rest my case. [wp_ad_camp_5]So, my mission, that I’ve chosen to embrace fully, is to help women simplify so they can find the joy in their lives through leisure. It’s not about shirking responsibilities, but paring them down to what really matters and getting comfortable doing nothing to recharge your batteries. I’m excited to help you find the time to do this. . . and so much more in your life! What is a “Leisure Life Coach”? Me! The most fun coach you never knew you needed! This is a productive, guilt-free zone! “I’m so busy!” The idea, the uttering, the feeling is always there ready to be delivered at a moments notice. Why? My morning read this month (I’m so excited to be reading again that I’ve got a morning book and an evening book. . . I digress) is Overwhelmed: How to Work, Love, and Play When No One Has the Time by Brigid Schulte. Have you seen my review on “You Are A Badass” Yet? I’m not done yet, but in the first few chapters of the book I’ve not only had “ah-ha” moments, I’m examining my life and realizing that my busyness is often for the benefit of others, not mine. Can you relate? Thing is, being busy is the new “status” symbol. If you’re not crazy busy, you must not be that important, or worst, you must not be that successful. We’ve gotten to where we equate being busy with being successful. But most of the time our “busy” is simply movement not progress, and certainly not success. In our new technology driven world, that was supposed to give us more free time, we’re overwhelmed with busy. We carry multiple phones and can’t stop looking at our screens because, FOMO (fear of missing out). We run ourselves crazy never stopping for a moment to think about whether our busy is just movement or if it’s progress. [wp_ad_camp_4]As women we have tons of stuff in our lives that keep us moving. That’s not so say men don’t, but I’m not talking to men 😉 I’m talking to you, lady boss! We drive our kids around to activities and events. We cook, we clean, we respond to invitations and buy gifts. Then let’s not forget trips to the vet for the pet(s), the grocery shopping that needs to happen, and oh, wait, there’s also the vacation we need to plan and the bills we need to pay. Oh, but we also need to answer emails, create our next promotion, create a strategy for our marketing, gather information for taxes, and make sure we workout, eat healthy and spend time with the people we love. . . .
Just reading that makes me tired. Now consider how many things we do that can go away without being missed. Or, how much time we could take to just do things we want to do if we sidelined our need for “busyness”. So, just because you’re moving or “busy” doesn’t mean you’re moving forward. You may be, but there’s no guarantee! [wp_ad_camp_5]If you can’t see or feel where or how you’re spending your time, you can’t change it. So, let’s slow down so we can mind our busyness and progress. Let’s “see” what’s happening. Below are two (actually one and a sub action) action steps we’re going to take for the next week (yes, I’ll be joining you). We’re going to find the “Busy” so we can reduce it. This only works if we’re brutally honest with ourselves, so let’s be honest as we go through our days. Right now we just want to be aware of our busy. Soon we’ll talk about ways to reduce the noise, clutter and busy so we can get to progress.